The National Center on Safe Supportive Learning Environments (NCSSLE) offers customized technical assistance, or direct assistance, and training to several stakeholders—state administrators, personnel in institutions of higher education, district and school administrators, teachers, school support staff, communities and families, and students—to improve conditions for learning. The Center primarily assists with the measurement or assessment of conditions for learning and the implementation of evidence-based programmatic interventions. The Center also can help address disruptive behaviors such as bullying, harassment and violence, and substance use. A referral specialist will respond within one business day. A referral specialist will be available to assist you between 8:00 a.m. and 8:00 p.m. Eastern Time. 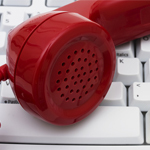 If you are prompted to leave a voice message, a referral specialist will contact you within two business days. Complete and submit a request for technical assistance. For special instruction, the Center delivers training that is culturally and linguistically competent through teams of specialists and experts in the field by (1) hosting webinars, conferences, and learning events and (2) developing useful products and tools. Among the Center-developed products are several training modules. Materials from all events and the Center's products are archived on this website for your use. Upcoming and archived conferences and learning events.